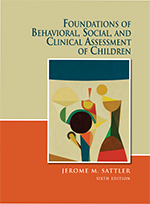 Jerome M. Sattler, Publisher, Inc. publishes books that represent the cutting edge of clinical assessment of children and families. We also distribute a nature photography book on La Jolla Cove. 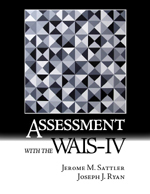 The clinical assessment books are designed for students in training as well as for practitioners and clinicians. 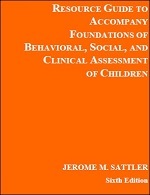 The Assessment of Children books are designed for clinical psychology, school psychology, and special education fields. The clinical assessment interviewing book is useful for social work, psychology, counseling, psychiatry, law, pediatric nursing, and family medicine fields. 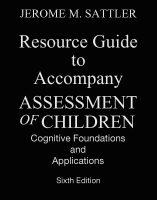 "ASSESSMENT OF CHILDREN: COGNITIVE FOUNDATIONS AND APPLICATIONS, SIXTH EDITION IS CLASSIC SATTLER—CLEARLY WRITTEN, CONCISE, ACCURATE, AND HIGHLY USEFUL." 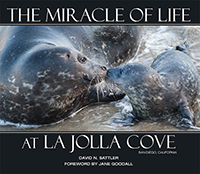 "DAVID SATTLER HAS THE EYE OF AN ARTIST AND THE VOICE OF THE POET, AND THE COMBINATION OF THESE GIFTS WITH THE EXTRAORDINARY BEAUTY OF LA JOLLA COVE HAS RESULTED IN THIS MAGNIFICENT AND MEMORABLE BOOK. . . ."
For information about sponsoring a workshop, please send an e-mail to jsattler@sdsu.edu or call 619-460-3667. 2. Clinique Spectrum, Montreal, Quebec, April 8, 2019. 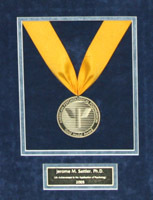 The American Psychological Foundation awarded a Gold Medal to Jerome M. Sattler for Life Achievement in the Application of Psychology at the 2005 Annual Meeting of the American Psychological Association.